LOCATION: Lonesome Lake, Atnarko Valley, 60 miles east of Bella Coola. 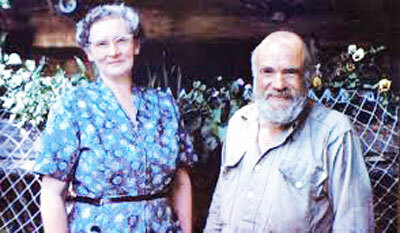 In February of 1956, Ralph Edwards and his wife Ethel received an unusual guest at their remote home on Lonesome Lake in the Atnarko Valley: Pulitzer Prize–winning journalist Leland Stowe, who had arrived by ski plane at 22-below to write about the couple and their remarkable devotion to trumpeter swans. Stowe expanded his research for a Reader’s Digest article into a bestseller called Crusoe of Lonesome Lake (1957) in which the backwoods couple were credited with having done more to save trumpeter swans from extinction than anyone else. Raised as a Seventh Day Adventist, the son of missionary parents in India, Ralph Edwards lived at Lonesome Lake from 1912 to 1966. Despite poor vision and lack of education, he managed to see action during WWII. 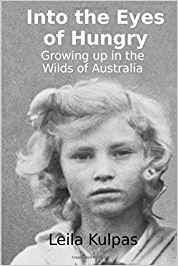 Afterwards Edwards raised three children at his “tiny kingdom scratched foot by foot out of the Canadian wilderness.” At age 65 he taught himself to fly a plane. At 70 he took up commercial fishing. Edwards’ conservation work was spurred by a 1926 meeting at Ootsa Lake with an American bear hunter named John P. Holman, also a member of the Audubon Society. Later asked to keep a log of swan flights, Edwards was appointed assistant migratory bird warden for $10 a month. This money was used to buy a typewriter for reports. In the harsh winter of 1932–1933, Edwards was given authority to purchase $25 worth of barley for feed. Eight 100-pound sacks were delivered by horseback to the end of the nearest road, 13 miles from a storage depot on Lonesome Lake. Having decided better access to feed was required, Edwards wanted to learn to fly. He subscribed to aviation magazines and started to build his own plane. Parts were sent from Winnipeg to Bella Coola, then hauled to the lake with horses. “The engine was the most difficult part to transport,” he said. “It weighed 180 pounds. 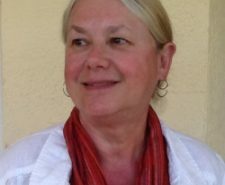 An Indian-style travois seemed to be the best way to carry it.” After Queen Charlotte Airlines pilot Johnny Hatch suggested they might purchase a used plane, it was decided to send Edwards’ daughter Trudy to get her pilot’s licence. The family bought a Taylorcraft float plane for $2500 and built their own hangar. In 1954, Ralph made his first visit to Vancouver since 1919. He obtained a pilot’s licence. 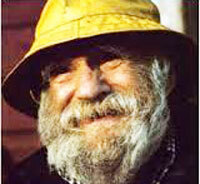 “If God had given me a choice,” Edwards once said, “I probably would have chosen to have been born a bird.” He died in 1977 prior to the release of Ed Gould’s “as-told-to” book, Ralph Edwards of Lonesome Lake (1979). The Edwardses persisted, as a family, to feed and protect the swans but their dream of flight was curtailed for ten years. Extremely cold temperatures in 1956 prompted Edwards to appeal to the Canadian Wildlife Service to airlift emergency grain supplies–and they did. The swan population produced more and more offspring. Ralph Edwards had had his first plane ride in 1939. After Queen Charlotte Airlines pilot Johnny Hatch suggested they might purchase a used plane, it decided to send their daughter Trudy to get her pilot’s license. The family bought a Taylorcraft float plane for $2500 and built their own hangar. In 1954 Ralph made his first visit to Vancouver since 1919, when he returned from the First World War and he, too, obtained his pilot’s license. Ralph Edwards retired to live at Oona Lake but his fame spread. 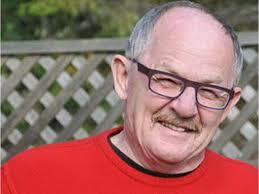 He was introduced to the Queen in Prince Rupert in 1971 and inducted into the Order of Canada. 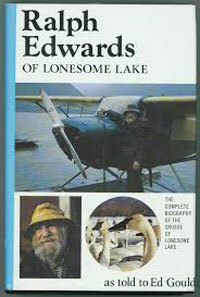 He died in 1977 prior to the release of Ed Gould’s ‘as-told-to’ book, Ralph Edwards of Lonesome Lake (Hancock House), a B.C. bestseller that has been reprinted numerous times since 1979.